This Brad-style takes on a new look with Arabian features and skin color. The replacement lungs remain the same, so you can incorporate another ethnic group into your CPR training classes with minimal expense. Chin-lift/head-tilt technique opens the airway and anatomical landmarks encourage proper hand placement. Adult effort chest compressions can be eliminated by removing the chest plate from under the skin and small adult or adolescent compressions can be experienced. Helal comes with three mouth pieces, three airway systems, and a carry bag. 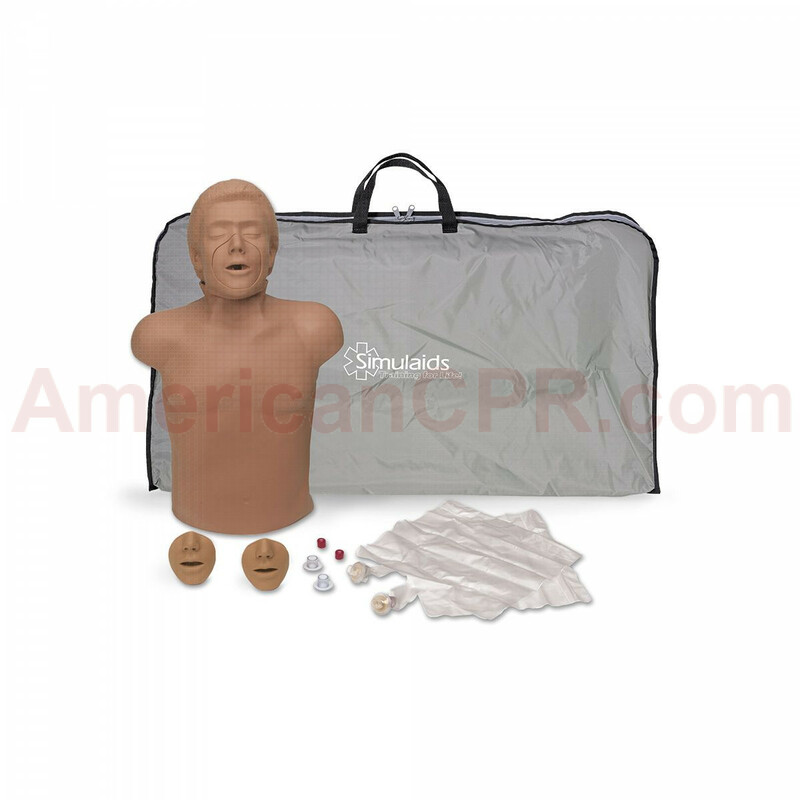 Helal Arabian CPR Training Manikin w/ Bag - Simulaids.